That it survives at all is also remarkable for a number of factors. Over the years the Treka has had a number of new owners and production locations. The design was originally introduced in 1997 by UVG at Bedwas in South Wales, where it also came into the sphere of one Ken Goodson who was to become firmly identified as ‘Mr Treka’. The company’s name changed to UV modular. In 2001 production switched to a large new production facility just off the M62 in Brighouse, West Yorkshire. It remains in Brighouse today although not in the same production facility. In 2002 the company was acquired by two of its directors. UV Modular, apart from being a builder of coachbuilt accessible minibuses, was also a major producer of front line ambulances. Ambulance production was very much the mainstream activity of the company. That led to the company in 2007 being acquired by AssetCo who already had a major presence in the blue light vehicle industry particularly producing fire and rescue vehicles, police vehicles and ambulances. Many thought at the time that AssetCo would hive off the minibus business as it did not represent their core interest, but that didn’t happen and Treka continued. 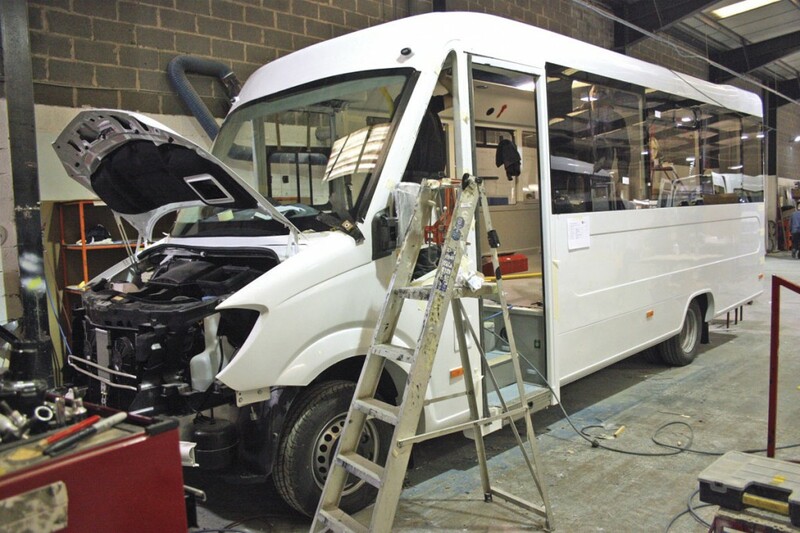 In fact production expanded with the introduction of a lower cost version of the coachbuilt Treka 16 minibus by adding van conversions to the product line up. In 2009, in the face of intense competition, largely created as a result of the growing power of centralised commissioning groups, particularly those working on behalf of a number of ambulance authorities, AssetCo decided enough was enough. The constant downward pressure on price by these commissioning groups led AssetCo to decide that it was unsustainable to continue to produce ambulances and they closed the Brighouse factory practically overnight. Once again it looked as if the Treka 16 had reached the end of the line, but remarkably that didn’t happen. A group of managers responsible for the Treka, led by Mark Clissett, convinced the AssetCo board that the vehicle still had a future and persuaded them to set up a new company Treka Bus Ltd and to transfer the intellectual property rights, the existing order book, various jigs and tools including the fibreglass moulds and move the operation across the road from the former main production centre into what had previously been the fibreglass production section. They were also able to retain a number of the key personnel. The advantage of the new site was that the ground floor area was similar to what the Treka production had occupied in the main factory. In addition the building provided important component storage areas, a suite of offices and most importantly a large area of hard standing where chassis and vehicles awaiting conversion could be stored. It also had one other major advantage over the old factory in that it did not suffer from flooding, something the old factory was very prone to. In order to set up the vehicle production facility it was necessary to re-locate the fibreglass production. This was handed over to a sub-contractor although Treka Bus retained ownership of the moulds. A major effort was put in by the staff, particularly former Sales Director, Ken Goodson, to reassure existing customers that the Treka was not dead by any means and assure them that full support for their existing vehicles would be maintained. The market responded by continuing to purchase the product. Within the new building they were able to establish a production area for the coachbuilt vehicles and a separate area for carrying out van conversions. From these humble beginnings the company began to re-establish itself. Eventually in 2010 Mark Clissett achieved outright control of the business from AssetCo and since then the company has gone from strength to strength. A testament to Mark’s management skills is that he has managed to retain many of the key players who are the backbone of Treka. People like Tracy Sharp, Mark’s Commercial Director who has been with the company since ‘Adam was a lad’ (her words not mine! ), Helen Day the Sales Director, Chief Designer, Michael Kitchen and Production Manager, Andrew Morris. Then there is, technically now retired, but you can’t keep a good bus man down. He continues to help Mark with advice from his vast knowledge of the market and the product. He also maintains contact with many of the regular customers with whom he has dealt with for, in some cases, over 30 years, maintaining that vital continuity. The facility at Brighouse has been constantly altered to enable every inch of production space to be utilised. There is now a single production line for the coachbuilt Treka 16. It is actually U shaped but it operates on flow line principles. 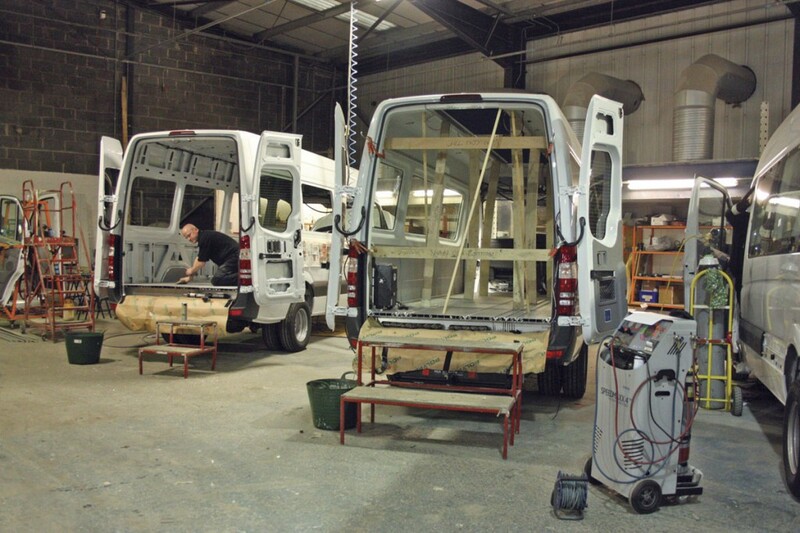 A separate individual bay production area is provided for the van conversion versions. Mark’s production expertise has been very much to the fore in this area. He has been ably assisted by his son Morgan, the Production Director and Production Manager, Andrew Morris. Together they have introduced ‘just in time’ manufacturing systems with all the parts for a particular vehicle coming to the right place in the production process just when they are needed allowing vehicles to make a smooth transition down the line, without the need to hold large stocks of costly items. They emerge at the other end as complete vehicles ready for final valeting and despatch to the customer. 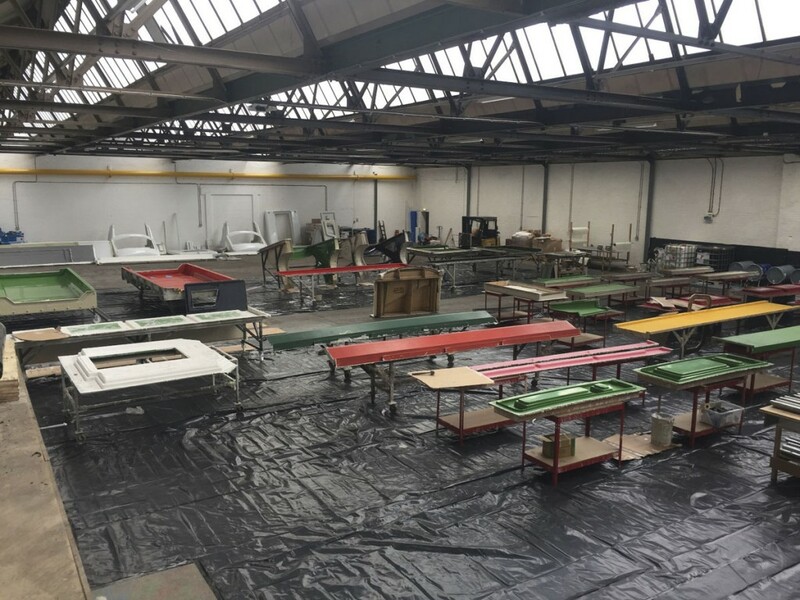 A recent decision, borne out of frustration at not being able to obtain product at the right time and to the right quality, has been to take the fibreglass production, a vital element in the Treka design, back in-house. 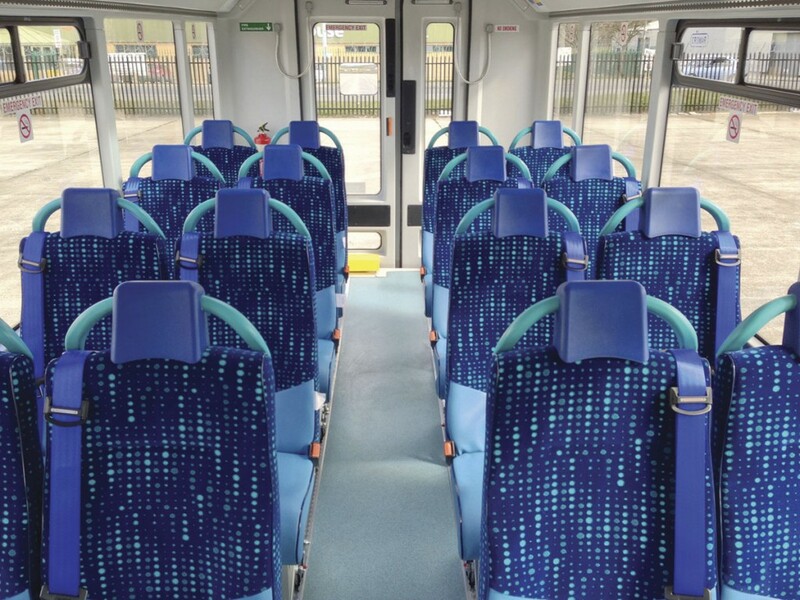 This has been set up in a separate unit near to the main production centre and operates as a separate company producing the fibreglass for Treka Bus but also doing work for third party clients. A win-win all round. For the same reasons the company also now produces its own vehicle wiring looms. 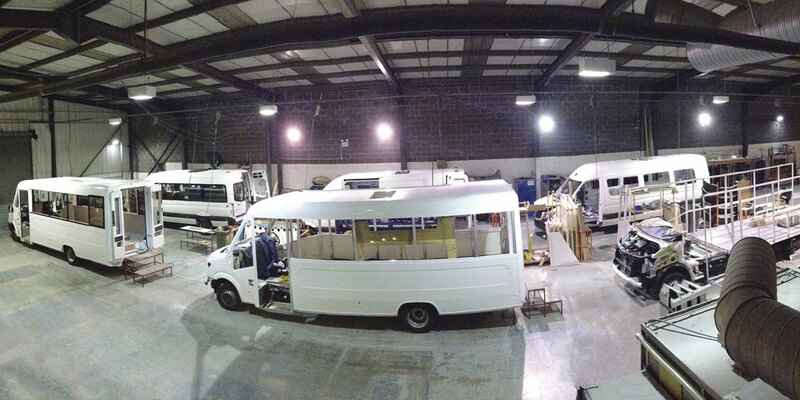 Treka Bus produce currently six vehicles a week; four coachbuilt and two van conversions. All production is Type Approved under National Small Series. Treka is a remarkable product not only for its longevity but also because it is as fit for purpose today as it was when it was first introduced. Over the years there have been many different versions of the Treka both in terms of size and the base products used. 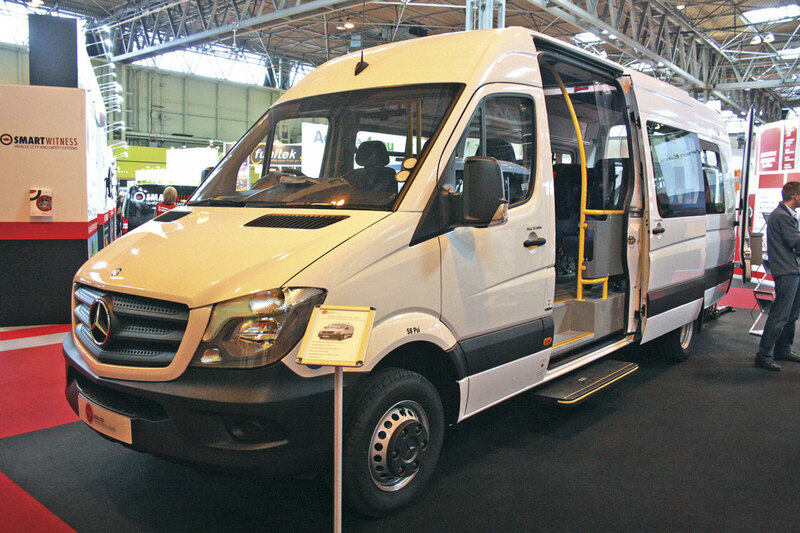 There have been bigger ones and smaller ones but the core product has always been and continues to be the Treka 16 wheelchair accessible unit mounted on a Mercedes-Benz van derived chassis. These days that is the five tonne Sprinter, generally with Euro6 engine and 7G Tronic Plus automatic transmission. 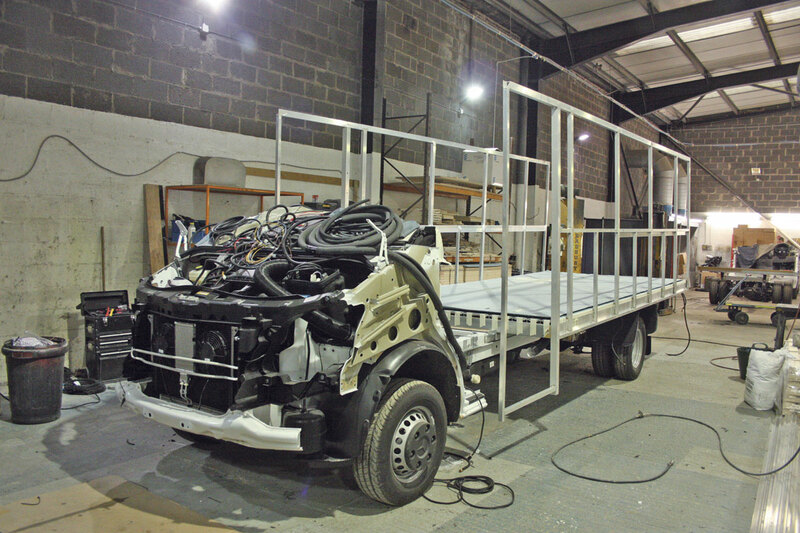 In the past, Treka bodies have appeared on a whole range of vehicle bases including Ford Transit, VW and on one occasion an Iveco. Van conversions have similarly involved vehicles produced by Ford, VW and Renault. 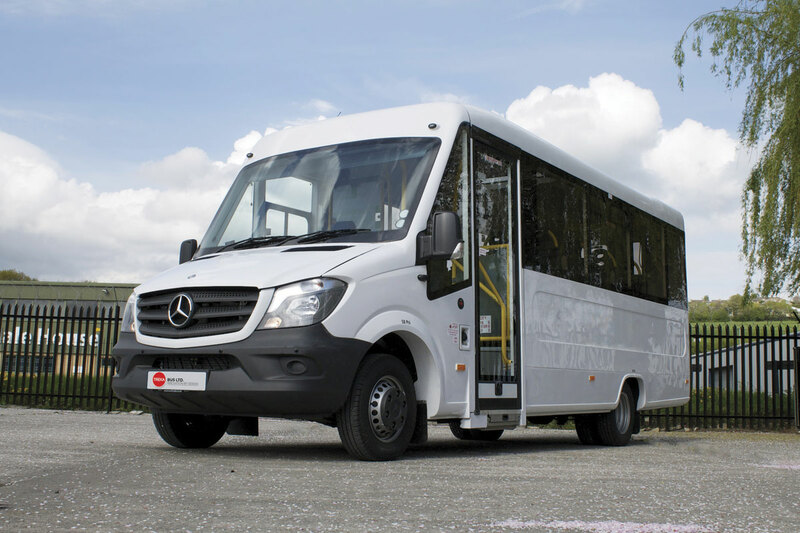 It should also not be forgotten that there have been considerable numbers of larger wheelchair accessible Trekas built, most commonly the 24-seat version mounted on Mercedes-Benz Vario. Many of these continue to give good service, especially with local authorities in the London area where it was always a favourite. Whilst theoretically the Treka is still available on other vehicle bases 99.9% of production involves the Mercedes-Benz Sprinter. Mark doesn’t rule out the possibility of building on other bases but as he says, ‘At the moment there isn’t another vehicle that can get near the Sprinter and it would need a large order for us to begin looking elsewhere.’ When asked about building larger Trekas, Mark’s reaction was that he cannot currently see them re-entering that sector of the market. He feels the market is not big enough to warrant the cost and time it would take to develop a new product. He also feels that the potential replacement chassis are unsuitable both from a specification and cost point of view to make a Treka product viable. So what is it about the concept of the Treka 16 that has made it so successful? ‘Simplicity, good quality components, good quality design and engineering and production excellence,’ says Mark. The design uses a mass production chassis, the Mercedes-Benz Sprinter, in either medium or long wheelbase form. That keeps costs down and ensures a reliable source of chassis and replacement parts built to the latest European standards. To that chassis Treka Bus add a body frame built from aluminium box-section. The body frame was always very strong and the design has been constantly updated to comply with changing legislation. The strength of the Treka body can be judged from the various examples they have re-built for customers after suffering major accident damage. The vehicle features a wide side entrance with glide door. There is a two step entry although many vehicles are fitted with an additional fold out step or a complete fold out unit that incorporates hand rails. Within the vehicle the floor is flat from front to back. The floor is safety tested and incorporates up to 10 tracks for seat mounting. The standard tracking is produced by Unwin Safety Systems and the standard seat mountings are NMI Millennium. At the back there are full length glazed fold-back doors. Wheelchairs are loaded through these doors using a PLS rear underfloor mounted cassette type wheelchair lift. Alternatively an in-board PLS lift can be specified. The body is entirely panelled in fibreglass mouldings. Glazing is bonded double units and there is a roof mounted glazed emergency hatch. The vehicle is fitted with Eberspächer convection heating and also climate controlled air conditioning. After extensive sound proofing is fitted, the body is trimmed out internally in moulded GRP units but also incorporates soft trim areas to soften the feel and take away the old ‘welfare vehicle’ image. 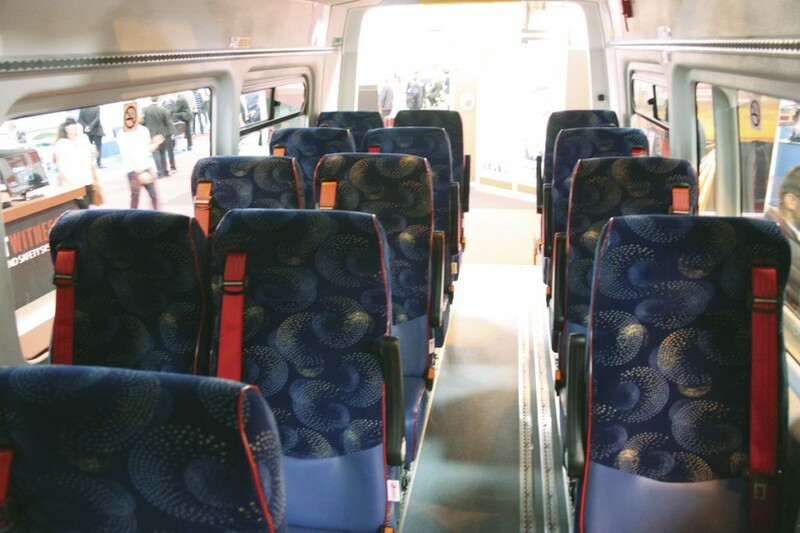 The Treka 16, as the name suggests, has seating for up to 16 passengers using high quality comfortable Phoenix seating. Alternatively it can carry up to six wheelchairs. All seating is track mounted and fitted with quick release fixings to enable easy layout changes. The vast majority of vehicles are built to a standard specification as regards equipment used. This would invariably include a glide door by Transport Door Solutions, passenger lifts by PLS, heating and air conditioning by Eberspächer and seating by Phoenix. This doesn’t mean that clients cannot opt for other equipment suppliers, but these vehicles are considered specials and attract a different pricing structure, delivery time and warranty. The standard vehicle comes with a standard three-year Mercedes-Benz warranty on the chassis whilst the body, glide door, heating, passenger lift and seating all have a seven-year warranty. A package to extend the Mercedes-Benz warranty is available. What makes Treka so special is the details; something which is constantly evolving. Treka has always been innovative, the first to take on new ideas, but always only after they have been thoroughly tested. For example LED lighting at the entrance and also at the rear to help night time operation, high level flashing markers at the rear to highlight the vehicle when it is stopped, cant rail anchorage for attaching wheelchair passenger seat belt restraints, easily replaceable body corners at the rear, always a vulnerable area, and a plug in system which allows a PLS Door Safe device to be mounted into the seat tracking and plugged into the vehicle electrics enabling operators to move the Door Safe from vehicle to vehicle. Other features include reversing cameras, audible warnings and an on-board multi lingual voiceover information system. The design team are constantly re-evaluating the vehicle and adapting new safety products as they become available. Typical is the recent introduction of a system of voice announcements and flashing lights that alert cyclists to the fact the vehicle is turning left. The very latest item to be fitted as standard is a nearside camera. ‘It is this attention to detail and willingness to work with operators that has helped keep Treka at the top,’ says Mark. The van conversion version is built to exactly the same standards and there is a lot of carry over of major components from the coachbuilt version. It utilises equipment from the same suppliers and carries the same warranty. Many customers buy both versions. It is available in either long or extra long wheelbase form with either front or side entry. That Treka Bus has got it right can be judged from the client list. They remain a major supplier to local authorities many of whom have been buying the product for years and continue to do so. Perhaps most remarkable of all is that they are a major supplier to all the major rental companies, again most of them having been customers over a long period of time. The list includes Dawsonrentals, London Hire, Burnt Tree Access-a-Bus (now part of Enterprise) and Northgate. To keep those demanding customers on side, they must be doing something right. 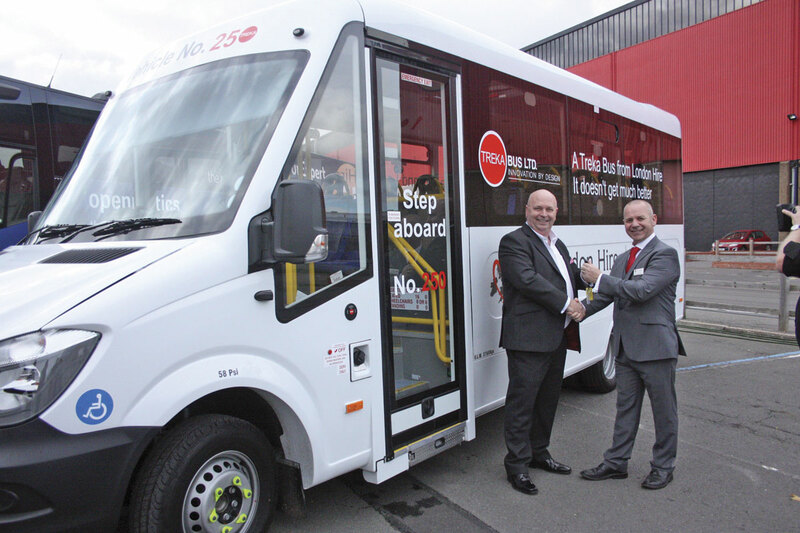 Recently Mark handed over to Peter Moxom of London Hire the 250th Treka 16 built for them since Treka Bus was set up. A remarkable achievement especially when you take into account the economic situation of recent years. So the remarkable survival story of the Treka 16 continues and there is no reason to think anything about that is going to change. Yes the product will continue to be improved, new features will be introduced as and when it is felt necessary or clients ask for them, but there won’t be any major changes in the foreseeable future. The company has a very informative website at www.trekabus.com and will be appearing at the upcoming CV Show. Treka 16 has survived many potential disasters in its long history but its future looks more secure than at any time in its history.